This month we have the pleasure of interviewing Rodrigo Silva from Colombia. Rodrigo Silva is a Principal at Mercer. Rodrigo currently serves approximately 110 clients in Colombia in the areas of local actuarial valuations, implementing international financial standards (US-GAAP / IFRS) and the valuation and accounting of benefits. Rodrigo is actively involved in the development of the actuarial profession; he is leading the process for the Asociación Colombiana de Actuarios to become a full member of the International Actuarial Association (IAA) and he is the current delegate to the IAA. He is a past president of the Colombian Actuarial Association. 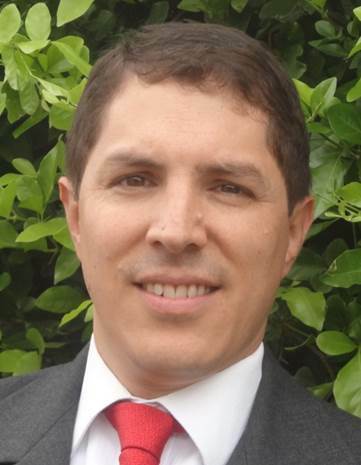 Prior to joining to Mercer in 2013, Rodrigo worked with AsesorÃ­as Actuariales, DecisionWare and with Universidad de los Andes as a physics professor. Rodrigo is an ASA, has a Bachelor's degree in Physics and Electric Engineering, and a Master's in Industrial Engineering (Operations Research and Statistics) from Universidad de Los Andes. Rodrigo Silva (RS): The best estimate is between 200 and 250. RS: The first actuary in Colombia was Julio Garavito (1865 â€“ 1920). He was a Mathematician and Civil Engineer and he was proficient in many fields such as astronomy, optics, economics and the human factors which affected it, such as war or overpopulation. This last field of studies is what we now label actuarial science. RS: To be able to explain, in simple terms, the conceptual framework that affects one of the most important issues that everybody faces in their life -- retirement. RS: In Colombia it is not so clear what do we do, "actuary" is an unknown word for laypeople. Let me give you an example. In my previous job, I worked for "AsesorÃ­as Actuariales" (Actuarial Consulting). We appeared in the yellow pages and one day, very early in the morning, I received a call from a worried young boy. He explained to me that he was very concerned about his fish; he noticed that the fish was not as active as usual. I listened to him very patiently, and he described the situation very well. The fish did not go after his food and was not enthusiastic about eating it. He did not move in the aquarium or chase anything. I asked him why he called my office and he told me that he was overjoyed when he found a company that could help him in aquarial matters. I had to tell him that I could not help him and that I worked as an actuary, that he was very clever for doing such research in the yellow pages and I hoped that his fish would get better. RS: To be more visible to the government and to the general public. RS: I work in the retirement field, and the local regulation is very complex. The retirement situation faced by people is obscured by this complexity and we need to be able to communicate with the general public, in order for the lay person to understand the basic foundations of the retirement system and to make logical decisions. RS: Consulting firms, insurance companies, pension funds and the government. RS: The "AsociaciÃ³n Colombiana de Actuarios" has recently became a full member of the International Actuarial Association. In order for anybody to become a member of our association, we have to compare his or her studies to the international syllabus. RS: Most of the companies do not support it, but some of them reimburse the cost of the exams, after the student passes them. Some of the big insurance companies have more formal programs -- once the person has a few years working in the field and shows the potential to have a promising career, they send the student overseas.